Start Taking Care of Your Smile TODAY! Using the most recent advances in dental implant technology, Dr. Bye is able to place single stage implants. These implants do not require a second procedure to uncover them, but do require a minimum of six weeks of healing time before artificial teeth are placed. There are even situations where the implant can be placed at the same time as the tooth extraction – further minimizing your number of surgical procedures. Dental implant placement is a team effort between a periodontist and a restorative dentist. Dr. Bye performs the actual implant surgery, initial tooth extractions, and bone grafting if necessary. The restorative dentist (your dentist) fits and makes the permanent prosthesis. Your dentist will also make any temporary prosthesis needed during the implant process. Click Here to See Our Patient Before and After Cases. We are a proud provider of TeethXpress®! For more information, please visit our provider page. 5 out of 5 stars based on 9 Dental Implants & Related Services reviews. The staff are all amazing. They are so friendly and helpful. Dr. Bye is also wonderful. He even called me in the evening after my procedure to see how I was doing. This was the first time any doctor had ever followed up with me to see how I was doing. He truly cares about his patients. This was my first implant and when I heard the whole process was a year, I was doubtful. I had been to someone else for consultation and it didn't feel right so I didn't go back. Then I seen an ad in the newspaper about Dr. Bye having an implant seminar so I went, after that I was convinced and confident in him and his staff to walk me through the procedure. I just finished the whole process and I'm so glad I went to Dr. Bye's office. I'm very satisfied with the implant and the procedure didn't go as bad as I anticipated - the implant looks and feels great! I was really impressed that Dr. Bye gives his patients his cell phone number if you have any problems or questions along the way, not many doctors do that! He even called and checked on me after each surgery to make sure I was doing ok. Dana was amazing also, she was very friendly and professional. I will definitely go back when in need of dental repair. My husband is now going to Dr. Bye after witnessing my experience. I broke a front tooth and was mortified. My dentist took a mold and had a "flipper", a temporary partial, made for me. It was so uncomfortable, I realized I couldn't tolerate a partial for the rest of my life. I also vetoed a bridge. Why destroy good teeth to fix my broken one? For those two reasons, I decided to get a dental implant. My dentist referred me to Dr. Bye and I was comfortable with him from the beginning. He had a very calming effect and I had complete confidence in him from the beginning. An implant is not a quick fix. It is a long process from beginning to end but the final results are amazing. When I smile, no one knows which tooth was replaced. I've had people guess the wrong tooth! I highly recommend implants and especially Dr. Bye. The Bye Center, and all the staff, are top-flight and first-rate. If you need a dental implant, and have had a lifelong fear of dentists, dental work, and dental pain...this is the place for you to go to, as it was for me. It's a long process, but everyone at the Bye Center makes it easy and almost totally pain-free. I'm near the end of the process, and I've experienced only very minimal pain and only briefly. Everyone there is very friendly, professional, and efficient. They will set you at ease immediately and make the process very easy for you. Quite simply, you can't beat this place. Dr Bye treated me with respect. He did a wonderful job. I was told that I needed an implant and I was fearful of the pain and startled by the expense. So much so that I put it off for a few years. When I received other options and another dentist's opinion, I felt that it "must be so" and I was emotionally ready. Unfortunately, by that time I had lost some bone and that complicated matters even more. I first saw Dr. Bye in 2013, the corrective process started in 2014 and was completed in 2016. I am so glad I had this implant done and I had no reservations after I met with Dr. Bye and saw the professionalism of his office staff and him. All of my appointments were timely, efficient, and I had no discomfort. I felt no pain, at any time. It was amazing. It takes a long time, costs a lot of money (by my standards), and I've never regretted it. I would recommend this procedure if it is needed, and I would recommend that Dr. Bye perform it. I was completely satisfied with the service I was provided. I was greeted in a friendly manner as soon as I walked in the door and was made to feel at home. The staff & Dr Bye were professional and thorough when answering my questions and for my treatment. Overall I am very happy with the whole process, and would definitely recommend your services to others. 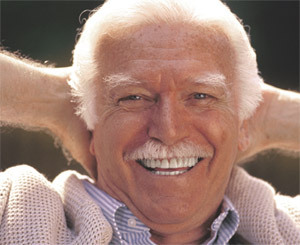 Following a fall that resulted in lost of two front teeth, I found myself referred to Dr. Fred Bye for dental implants. Doctor Bye, Deena, and Tina were always friendly, knowledgeable,and professional. Every step of the way was thoroughly explained. My maxilla bone had disintegrated and so I required surgery to replace bone. At all time I was treated respectfully and caringly. Thank you Dr. Bye, Deena, and Tina. Mary G. L.
I had two implants completed by Dr. Bye. One on a front tooth and one on a back molar. I have had the crowns on the implants for two months. I just had my final appointment with him to inspect the completed work on both implants. I have no complaints regarding his work. It was superior work and the implants are perfectly positioned. During the bone grafting and later when the actual implant was completed, I had virtually no pain with either procedure. I went to sleep for the procedure and woke up and was somewhat groggy. There was very little bleeding. At home, I followed his written instructions to the letter and now that I am reaping the rewards of two new permanent teeth in the form of an implant and crown life is good. I highly recommend Dr. Bye and his staff.